A pair of tourists visiting fabled Scorpion Gulch, Arizona, come across a salty local who believes himself to be none other than western icon Clint Eastwood. What follows is a clash between the good and the bad, leading possibly to something ugly. Filmed on a whim one afternoon, this shoestring short really packs a fistful of dollars. 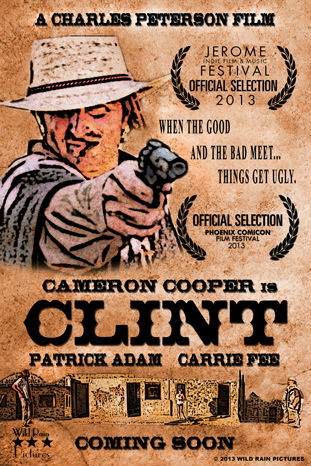 Clint Official Teaser from Charles Peterson on Vimeo.